So here it is! 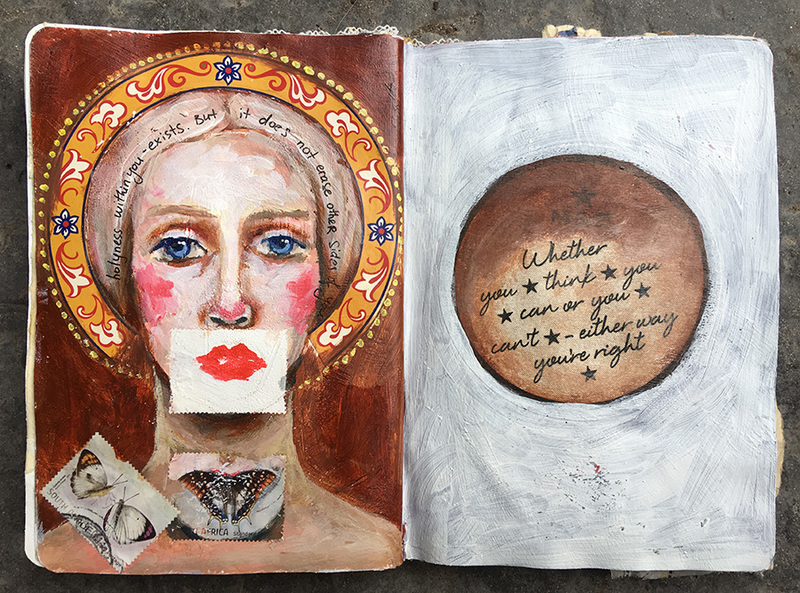 If you haven't seen my previous post on Sketchbook Project, this is a project run by Brooklyn Art Library. 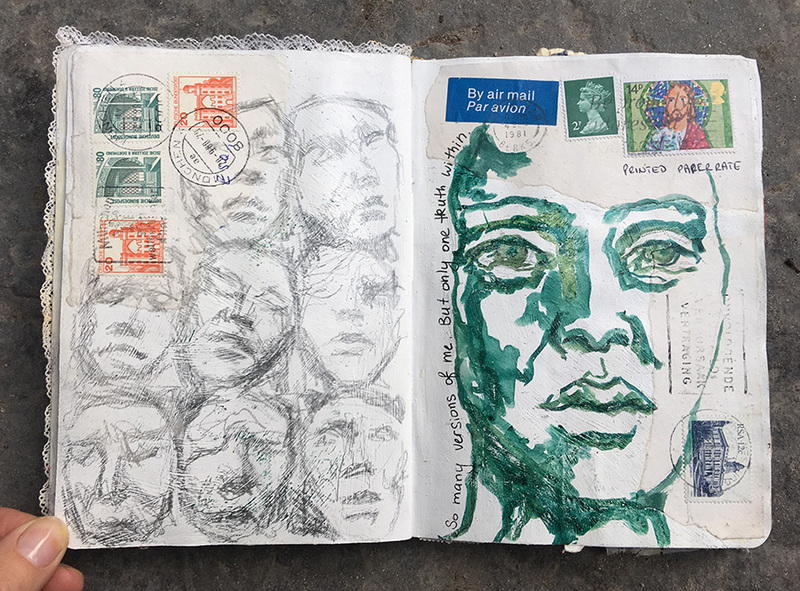 They accept sketchbooks from around the world from anyone. 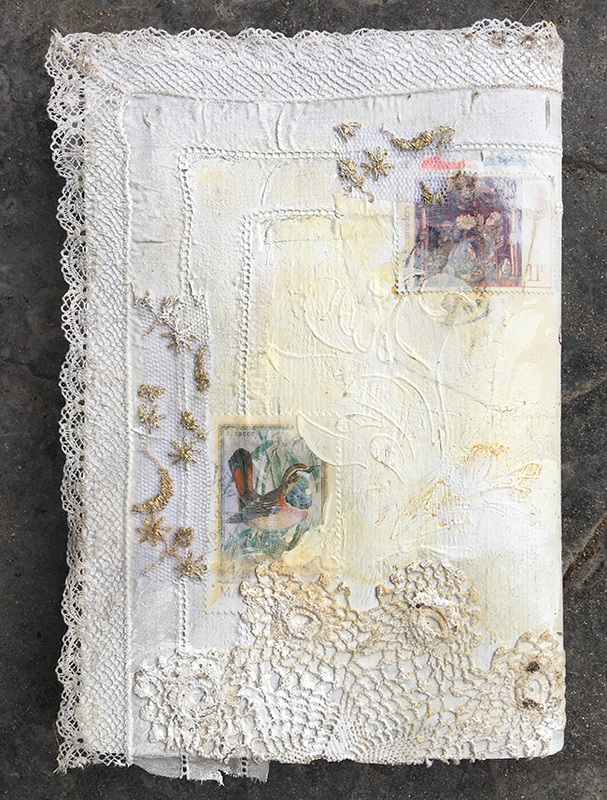 I have been working on this one for about 8 months, slowly filling it page by page, with collaged stamps, writing and painted faces. How exciting would it be to pop in to that library and browse thousands of sketchbooks from artists around the world? I would stay there day and night!